ABS Cuts in face - Lock cam stays in place even when completely snapped and has cuts in side near face making a single snap unachievable to get access to cam. Most commonly euro locks snapped are the ones which stick out further than the door handles but thief's do tend to snap ones which don't sit past the door handles as the knowledge of locks to burglars is growing to sophisticated levels. Having an Anti-Stap Cylinder can even make it difficult and challenging for even the best Locksmith to unlock. James Cardiff Locksmith has extensive knowledge of opening and fitting of these advanced type locks. 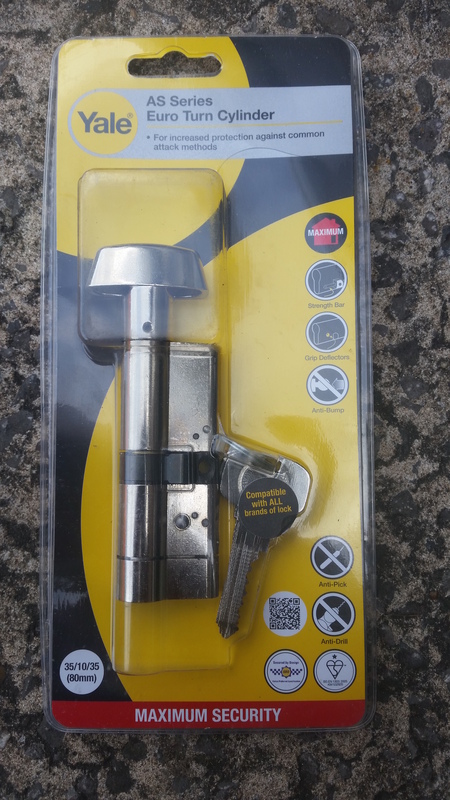 When Anti Snap locks are mentioned people often are referring to a Euro Cylinder but Rim Cylinders are also vulnerable to Snapping methods of entry. To make a Rim Cylinder unable to be snapped the 2 screws which hold the lock in its position should be checked to see if they are the solid running threaded screws. The type with breaks in the thread allows people to fit the cylinder in quick time as careful cutting to size is not necessary but these screws make the lock liable to attack from an attacker. If you require to see if your locks need upgrading for what ever reason ring a local friendly locksmith who should be more than willing to help out.